Ghostbusters: Activision has a NEW Game on the Way! With the release date in only about 6 months time, the reboot Ghostbusters film has now got a full onslaught of marketing goodies for all of us nerds and collectors. Good News Ray, there's a new game staring right at me. "In the lead off to the movie’s release, Sony Pictures Consumer Products is working to ensure it has items available at every price range, from $9.99 action figures aimed at children to high-end replica proton packs for adult collectors. Apparel companies such as Hybrid and FAB NY are adapting scenes from the movie into T-shirts and backpacks. IDW is continuing its work on the Ghostbusters comic series while Simon & Schuster is developing a junior novelization and a Guide to Ghostbusting book that will give the franchise a presence in stores like Barnes & Noble." "Ghostbusters is also returning to video games. Already, the Ghostbusters sets are on sale for Lego Dimensions, a toys-to-life game featuring the classic building blocks and a new full-fledged Ghostbusters video game from Activision will release alongside the movie on the Xbox One and PlayStation 4." Most recently there's been the Ghostbusters addition to Lego Dimensions, which is standard Lego game playing fun, there's the mundane Ghostbusters: Puzzle Fighter game, the surprisingly entertaining Little Ghostbusters phone game, the interesting and oddly-fun-yet-still-terrible augmented reality game Ghostbusters: Paranormal Blast, and the very under-appreciated Ghostbusters: The Video Game. That's a game I would very much recommend to any fans of the films, or even of the old 80's cartoon and toys series. You know what I'd even recommend it to the, like 20 fans of the Extreme Ghostbusters. I'm not quite sure how they could cram that much 90's into one show, but they managed to do so with a spectacular level of overconfidence. Anyways, if this new Activision game is even remotely as good as Ghostbusters: The Video Game, the new game will make a killing. It would be of great note here that Activision has also got another top notch property game in the works with Teenage Mutant Ninja Turtles: Mutants in Manhattan, and if their previous game Transformers: Devastation is any indication, the new Ghostbusters will likely be a very good game. It sounds like Activision has finally started to learn to actually listen to what the fans want. Now, for those of us that remember it, we can only hope that they re-release Ecto Cooler Hi-C drinks. I drank that stuff by the gallon. Ghostbusters hits theaters July 22nd, 2016. The massive Marvel Heroes update launches today bringing us into the 2016 edition. With that comes a wealth of new goodies and improvements over it's 2014 and 2015 versions. With the update the free-to-play game gets a Secret Invasion level addition, visually updated costumes for Captain America, Black Widow, and Jean Grey to make them fit in more with the tremendous newer models. Deadpool has received his update gaining new animations, moves, and effects arriving early preparing players for his movie premiere on February 12th. There's also some new features, leaderboards, Steam Achievements, and finally some MAC support. To top this all off is the arrival of the 55th playable character Black Cat! If you haven't tried this game out, now is definitely the time. It's free-to-play through either its own client or through Steam. It's the only game I've made an effort to play at least a half hour a day for the last year. It's just amazing and it keeps getting better. Thank you Gazillion. Marvel Heroes 2016 is a must play for fans of any Marvel properties. In late December there was a nice little message from Age of Conan developer Funcom, saying they'd be announcing a new Conan game announcement coming in January. Lo' and it hath arrived! We aren't given much in the way of information on actual gameplay, but the survival tease and hints leave me anxious to re-enter the Hyborean age to join in tales of adventure undreamed of. To me it sounds like a combination of action, survival, and maybe a bit of world building. I'm curious as to how much of each we'll be forced to do. I really don't want to be hunting down berries for hours just to have enough energy to ward off the dark armies of the evil wizard Xaltotun. No matter what it is, I am very intrigued, and my excitement is growing even more because rumor has it the new Schwarzenegger The Legend of Conan film's script has recently been completed. Early access to Conan Exiles is set to begin summer 2016 and PC launch slightly later, with consoles to follow. After the Platinum Games announcement tweet this morning saying that they'd release a full trailer tomorrow for the Teenage Mutant Ninja Turtles: Mutants in Manhattan game that has been known about for a while, but never officially confirmed, Platinum Games' leak streak was once again topped, and the trailer was leaked. In response Activision took the upper hand and simply released the trailer via their youtube channel. Well played Activision, well played. After speculation has been high, this game looks every bit as awesome as I was hoping for. We may have ourselves a true heir to the Teenage Mutant Ninja Turtles video game franchise worthy of our time. I mean the last one I was genuinely impressed with was the Game Boy Advance's TMNT movie tie-in. I'm not kidding, it was an unbelievably well done game. All the other versions of the tie-in were terrible, but somehow the GBA version was spectacular. Anyways, the only way I could be more excited about this is if it supports 4 player online co-op, and offers more unlockable/playable characters than just the four Turtles themselves. I want to play as Metal Head, Splinter, Slash, or even as April O'Neil. We need some options! 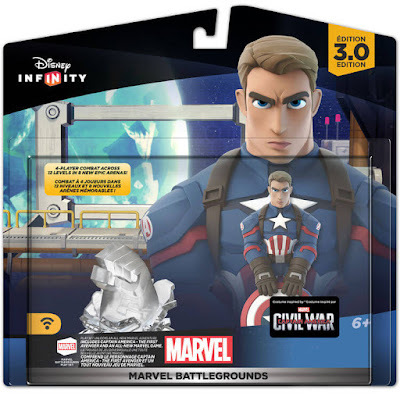 For as excited as I was for more Disney Infinity 3.0 stuff, this week has been an enormous letdown for news concerning the upcoming Marvel Battlegrounds playset. 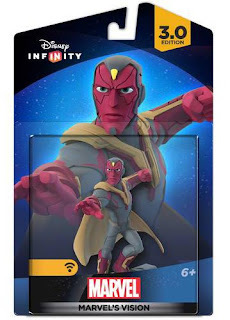 First it was announced that the set would only come with a singular figure, Captain America (The First Avenger), and we know there are only currently 3 other figures slated (Ant-Man, Black Panther, and Vision- with no female figures at all) with mere rumor that more are on the way, and now we get the news that the set will be LOCAL MULTIPLAYER ONLY. 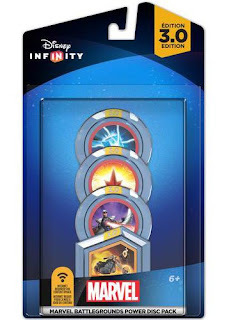 "Battle up to 3 opponents in the arena with 4-person local multiplayer"
Honestly, if Marvel Battlegrounds is supposed to be a "game changer" for the Infinity brand, they really need to up their game- opening up online multiplayer is an absolute must. To me this feels like they are currently selling us merely the face of a game. Essentially we are getting a fancy box and no real content or true expansion to the brand. Infinity is on the 3rd generation and there still isn't multiplayer offerings. The story modes are meager at best in the playsets, the minigames are mundane, and they really aren't giving players anything new. Battlegrounds may provide us with a fighting arena, but how many players don't have the option of playing in groups locally? Supporters have asked consistently for online play, and we got a broken, or at least rarely functioning, online play with "Flynn's Arcade"- leaving the bitter taste of horrible disappointment in our mouths. What makes this even more questionable is the lack of a confirmation that their will even be AI opponents to play against. It's generally assumed that will be the case, but it isn't stated anywhere. Sadly, this might be the first time I am disgusted with how lacking a new playset appears to be. Barely any new characters, no online support, and it was mentioned previously there will be no story mode. Disney is one of the biggest companies in the world, there is no reason they can't compete with other game companies in the video game arena. This should be an area where they make the Lego Dimensions and Skylanders toys-to-life games look infantile. They have the reasources to make something staggeringly big- I'm thinking toys-to-life in an Elder Scrolls sized game world. instead we've been getting sparse gameplay and some mediocre extras. Stuff I'd expect for mobile games, but nothing really console sized. Disney Infinity, coming from an avid supporter, the game needs a huge overhaul and it needs one quick. This is a case where just the addition of online multiplayer would do wonders. I recall Disney being all about imagination, so show us that creativity is truly valued, and give us a game worthy of our investment. Disney Infinity 3.0: Marvel Battlegrounds will be available March 15th. The newest trailer for Suicide Squad has dropped, and it looks great. Filled with crime, crazy, and Queen's "Bohemian Rhapsody" it's the first DC Comics property trailer I've been truly hopeful for in a very long time. We get glimpses of a powerful baddie that is still unnamed, the team's members in action, and more scenes of the Joker. This looks like it may live up to it's comic book counterpart's namesake and that many of the members will be dead before the end of the movie. Comic book movies are finally growing up. As a long time fan of Wayward Souls and Mage Gauntlet, I have been super excited for Rocketcat's upcoming title Death Road to Canada since it's announcement over two years ago. Now as we inch closer to the game's release the game gets a very silly live action trailer. Death Road to Canada is a post-apocalyptic comedy/survival road trip where every game is randomly generated. You must get your car full of death-prone jerks from Florida to the safety of Canada. The game consists of randomly generated levels combined with text-based road events and zombie mob evading. It's said there can be up to 500 actives zombies at a time, putting careless players in between a zombie rock and an undead hard place when attempting to not get trapped by walls of shambling zombies. The threat of the slow moving flesh-eaters is very real, and it looks to be both a frightening and hilarious experience for players. Death Road to Canada is set to release on PC in the first 3rd of this year, with an iOS port to follow hopefully not long after. Sadly, no word yet if it'll be ported to Android devices. In the mean time, fans should be grateful for the truly massive update to Wayward Souls. 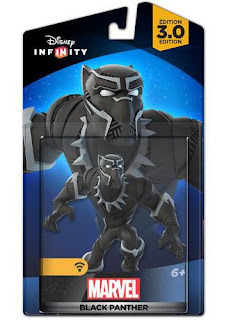 Yesterday Amazon had listed for pre-order both the Nick and Judy Zootopia figures with a date of March 1st, and they also had the Marvel Battlegrounds playset and power disc pack listed as March 15th. The downside is all their new Disney Infinity 3.0 listings have been taken down. In addition some of the mock-ups for the single figures have begun surfacing. There's Black Panther, Ant-Man, VIsion, and Symbiote suit Spider-Man (for single release, as the only other ways to play him were with the costume disc or the Vita pack exclusive). We've known about these from the leak back in October, so it really isn't news. What is cool, however, is the tight lid they've kept about who the 2nd character for the playset will be. So far there's only Captain America's new costume The First Avenger. I hope it'll be Winter Soldier or Scarlet Witch. The, the power disc set for Marvel comes with what appears to be the Winter Casket from the Thor film, a symbol of the Nova core, a Darkhawk laser, and what I think is really cool- Ghost Rider's motorcycle. So we'll have his chain whip and bike, but actual Ghost Rider figure? Perhaps he'll be an unannounced surprise. On a side note, art for Baloo from the Jungle Book has also been released and can be seen at this link [ Infinity Inq. Twitter ]. This new figure makes me wonder if the previously mentioned unannounced playset with be for the Jungle Book as a film tie-in of sorts. It was recently announced the TT Games upcoming LEGO Marvel's Avengers was going to be receiving 2 DLC packs, adding 2 more films to the 6 film roster the main game was made of (in addition to the massive Marvel Universe related content also there). The two films will be Captain America: Civil War and Ant-Man. The Civil War pack will be available at the main game's launch on January 26th, and includes 9 characters that are also able to be used in the main game. There will be Captain America, Iron Man (in the Mark 46 armor), Black Panther, Winter Soldier, Falcon, War Machine, Scarlet Witch, Crossbones, and Agent 13. The second DLC, the one I am personally very excited for, is the Ant-Man level pack. 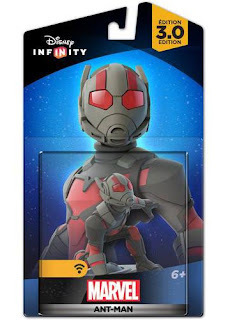 This contains 11 new characters including both Scott Lang and Hank Pym as Ant-Man, Ant-Thony the flying ant, Cassie Lang, Darren Cross, Scott Lang, Hank Pym, Hope Van Dyne, Luis, Janet Van Dyne as The Wasp, and Yellowjacket. "Keep an eye out for the season pass content that we’ll be bringing your way featuring classic comic content as well as content from Marvel’s Agents of S.H.I.E.L.D." Hulu has released the new full trailer for its Stephen King adaptation of the book 11.22.63, and it is appears it'll be the best adaptation of any of his works into cinematic form. If you haven't read the massive tome, I highly recommend it. It is truly a love story surrounded by intrigue, mystery, and time travel. In short, a masterpiece, and Hulu seems to have nailed the right feel for the show. 11.22.63 begins on Hulu President's Day (Feb. 15th) 2016. 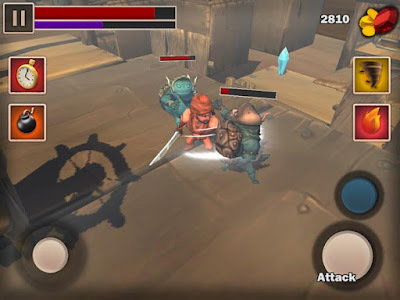 Nickelodeon's wonderful Teenage Mutant Ninja Turtles television show has received yet another mobile game, out today for iOS and Android devices today, called TMNT: Portal Power. Help the Teenage Mutant Ninja Turtles travel through portals and fight evil in this action-packed street fighting game. 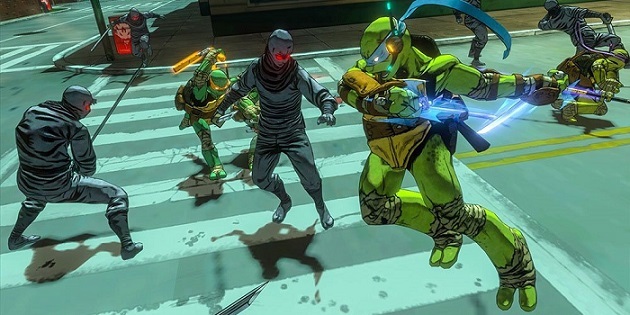 Play as all four Ninja Turtles at once as you punch, kick, power-up and portal your way through outrageous dimensions to stop Shredder and the Kraang from unleashing another diabolical plot. Portal Power is a tap-and-swipe brawler reminiscent of the awesome old-school TMNT brawlers from the 80's, with a notable homage of dimension-hopping to the pinnacle of all the TMNT games, Turtles in Time. 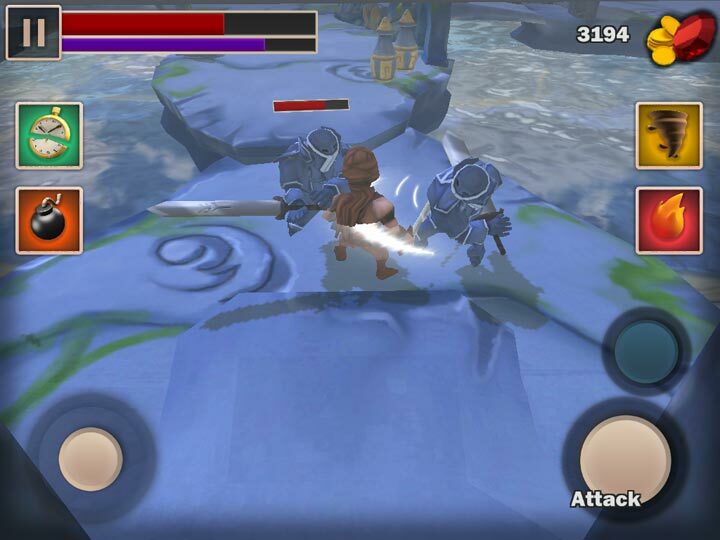 The game looks to play very similar to the official Bay and Liebesman Teenage Mutant Ninja Turtles movie tie-in, Brothers Unite, that came out in 2014. Which is a very good thing, as that was a very good pocket brawler. The downside is the game costs $5.99, AND offers IAPs. 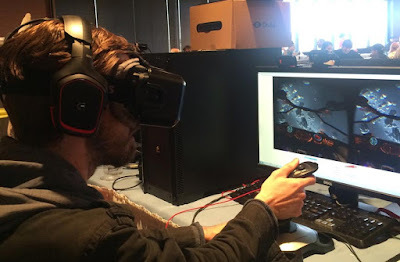 The Oculus Rift: My Thoughts & Pre-orders Start Today! Last summer I attended 2D Con (aka Digital Destruction) here in Minnesota and was lucky enough to try out the Oculus Rift. It's pretty damned amazing. Which makes me very glad to know that pre-orders start today. 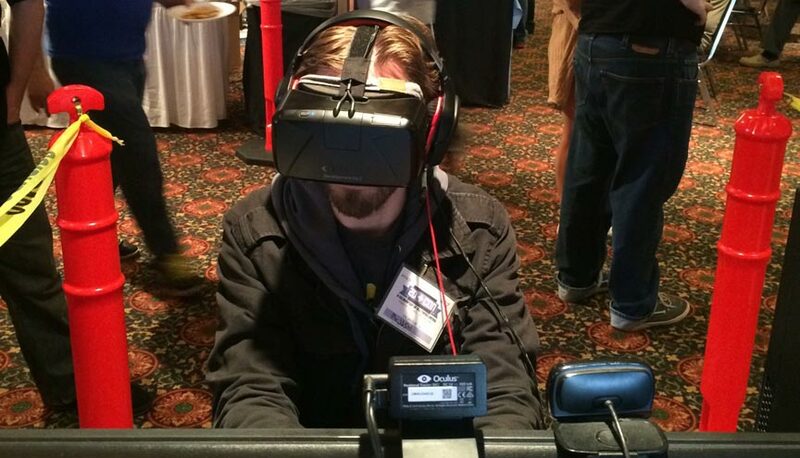 I got to watch a short video of a roller coaster ride through a living room from the perspective of someone or something that was really small. After that, I played Dangerous Elite on the system. Let me tell you, flying a 3D space craft is quite disorienting without major planetary bodies to anchor yourself to, and it feels a little easy to get spun around and feel lost. Even though the graphics might not be the best yet, and the programs run less smoothly than they could, it still fully achieves the simulation effect for the user- and that is the most important thing for virtual reality. 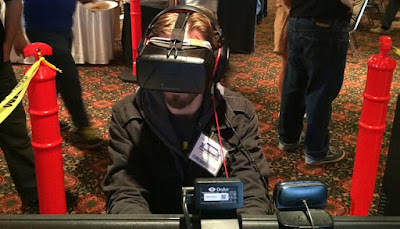 But that fact is a testament to how effective the device is at simulating the 3D effects. It gives the feeling of motion through visuals and sound. Though the rig I played on seemed a bit sluggish, as technology improves the systems should get quite a bit better for the upcoming 3D games, and I really look forward to seeing what people can do with it and how they can push the boundaries of it's uses. I'm looking at you Hideo Kojima! I want to see creative and innovative uses, things that wow me while maintaining a fun factor. 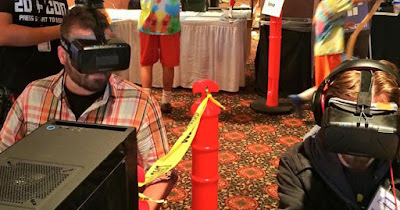 Because virtual reality is still early on, it's very exciting to see what will be coming of it in the next few years. This is going to be a literal game changer for everyone. Can you imagine how epic a fully 3D Elder Scrolls, Fallout, or Borderlands game could be? There's infinite potential with this type of technology. The Rift is currently priced at $599.00 (USD) and will begin shipping on March 28th, with a few select retailers in "limited locations" having them in store in April. If you are unsure if your system can handle these specs they've provided an Oculus Compatibility Tool to make sure if it'll work or not for you. Personally, I won't be able to afford the hefty price tag for the Oculus, but it's amazing to see the list of games coming out for it. Although I think their estimates might be a little exaggerated- but then again, they say there'll be more than 100 titles. I'll certainly be saving up for one of these bad boys for a while. Power Man & Iron Fist #1: Heroes for Hire Reunited! Hot on the heels of the Jessica Jones Netflix series, featuring fan-favorite bullet-proof skinned Luke Cage, is a new comic book series featuring old pals Luke "Power Man" Cage and Danny "Iron Fist" Rand. The Heroes for Hire return for the greatest comics action-bromance possible- in a tale full of crime, goons, magic, and a whole lot of punching. The series is written by David Walker, featuring the spectacular art Sanford Greene. This is definitely a book to watch for! Power Man and Iron Fist #1 hits shelves Feb. 17th. While we wait for the release of Rocketcat Games' upcoming Death Road to Canada, they've announced massive updates to Five Card Quest and Wayward Souls. As Wayward Souls is one of the best games out there, the update will give it another amazing boost and hopefully revitalize all of us players. They've submitted the update and are just waiting for Apple's approval for a mid-to-late January release (pending approval). "New pet system! You have a 15% chance per floor of finding one of 29 different pets. Most provide different stat bonuses, but some can even attack. Testing out a new animation system using the pets. If it goes well, we're going to expand all the animations for the mobile versions so everything's animation is smoother with more frames. Some new rare content added." In addition to the awesome pets and animation update, we'll also be getting a new character update a bit later alongside of the PC release. The Paladin (the character you play in the prologue), who is so overpowered compared to the others, he'll be getting his own game mode to play in. That update will be large enough to warrant a price hike to the game, so if you haven't already bought it, you might want to do so quickly. Update: I emailed Rocketcat and they've responded that the updates will be coming to Android devices as well. 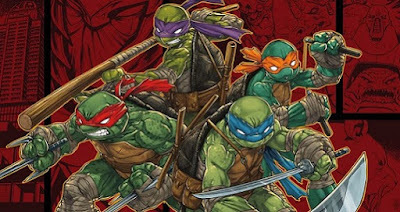 There's a ton of leaked info for the upcoming, and still officially unannounced Teenage Mutant Ninja Turtles: Mutants in Manhattan by Platinum Games coming out in rapid succession. First there was the initial leak, then the cover art, now we get an entire achievement list! What is so huge about this leaked achievements list, is it gives a monstrous amount of potential spoilers, and more important- hints as to what the game actually will be like. I won't post the list in case you readers want to avoid spoilers, so click either the link above or the source link below to read them if you like. To be frank, the list is super exciting as there's online multiplayer (with things that might be PvP team-based modes), 3 story mode difficulties, boss battles, secret bosses, actual stealth mechanics, and what sounds very much like a proper open world city area for us to roam and fight in. There is so much potential here and it sounds amazing. The TMNT have needed a revitalization in video game form for years, and it's great to see we may finally be getting it. If Platinum Games' work on Transformers: Devastation is any indication of what their Turtles game could be like, it looks to be a very bright future for our green brothers.